Budapest Design Week gives you the possibility to enjoy a piece of Estonian Design as well! The exhibition ‘Playful Interactions’ handles the main theme of this year’s design week – ‘Start’ – from a slightly different angle. The exhibition draws attention to the importance of good quality and interactive design in the development of children’s creative abilities. Exhibited items are created by young Estonian designers. The selection covers the fields of play, learning, dressing up, and touches on the field of social design. The exhibition is suitable for both children and grownups, and the lion’s share of items can be tried out. The toy Feltive can be explored at a separate workshop. 3 p.m. The exhibition opening by Hedvig Harmati, head of Fashion and Textile Department, MOME. 3.30 p.m. Kristi Kuusk (Estonian Academy of Arts) presents the social design projects of Estonian Academy of Arts and Eva Liisa Kubinyi presents Feltive. 2 p.m., 3 p.m., 4 p.m., 5 p.m.
Workshop for children at Estonian Institute in Hungary. Requires registration. This presentation is a part of ‘smART XTRA!’ programme series. Kristi Kuusk is combining traditional home textiles with technical innovations. 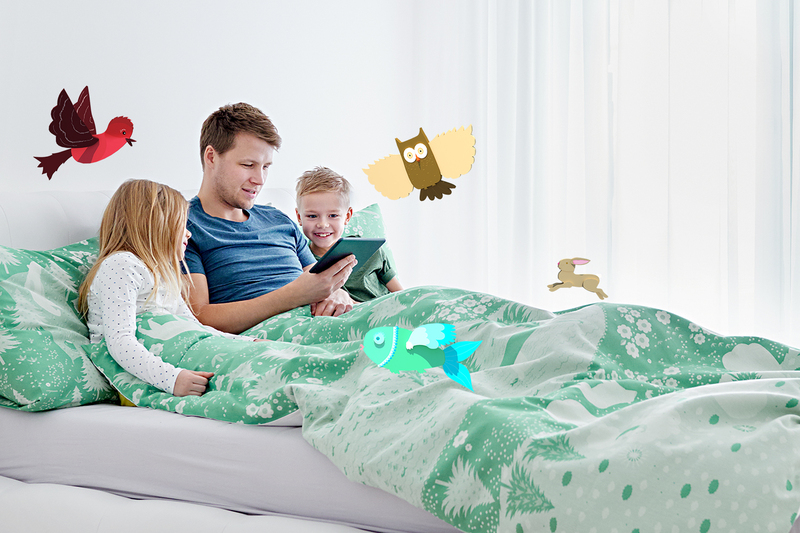 By doing this, a simple bedtime story can be taken to a totally new level! Minimalistic childrenswear klikkklakk are inspired by the best of Scandinavian design. Children can freely combine all changeable details according to their mood, transforming everyday boring dressing-up into an exciting adventure. Feltive elements, made of recycled textiles, can be used to build whatever you want, starting with dogs and cats and ending with space-ships – the sky is the limit. HÖP books and workbooks invite children to solve problems and find solutions, to plan, learn and play. One of the books has also been translated into Hungarian. Soft toys by Trallibussikoondis give you a possibility to hug a trolleybus. Projects of social design by students from Tartu Art College and Estonian Academy of Arts have been born in cooperation with children’s medical institutions. Curators of the exhibtion are Kristi Kuusk, Eva Liisa Kubinyi and Móni Segesdi. Estonian Institute thanks the supporter of the exhibition, Cultural Endowment of Estonia. The partners of the event are the children’s and youth art gallery Deák17, Estonian Academy of Arts and Tartu Art College.